SolutionsPal manages search engine advertising campaigns for small businesses in Michigan and the United States. We take a holistic approach to Pay-Per-Click Management. We understand it is only part of a larger online marketing strategy for our clients. Put our online marketing experience to work for you. It will save you time and money. We strive to drive down our clients’ cost-per-click, yet increase their click-through rates. We do this by testing ad copy, and refining paid search ads to eliminate inefficiencies. Using relevant keywords and niched keyword themes, we increase the visibility of our clients’ websites in all major search engines such as Google, Yahoo, and Bing. Kick start your website and sales by making it known in the internet world. SolutionsPal has partnered with some of the most powerful hit generation sites on the Web. What does that mean for you? It means we reach over 200 million Internet users every month! That number translates into many potential customers for you! SolutionsPal PPC Management is the fastest way to expose your business to you potential online customer base, using a marketing agency that is approachable. Let our experience work for you. 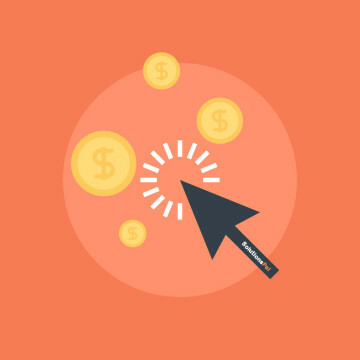 Our certified PPC experts can setup or improve your PPC campaigns to make them more effective. Our track record speaks for itself. We are known for generating maximum ROI using Google Adwords and the Yahoo!/Bing display networks.